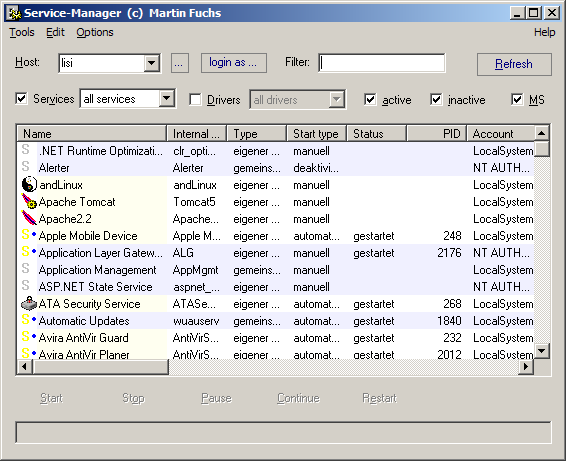 Service Manager is a tool for quick control of Windows Services and Drivers. It allows fast access to all running and installed Windows Services and Drivers. You can inspect their properties, start, stop and pause them. Compared to Windows Service Control this Service Manager allows you to control more than one service at once. It's even possible to remove services completely from the Registry if you have problems un-installing them with the original setup program. You can connect to remote computers and do all this on the remote PC.